The spelling might be off, but this cafe boasts one of the most interesting new spaces in the city. "I wanted something hidden,” says owner Mike Cracknell. "Somewhere where you'd walk down the laneway, see the grunginess, then turn the corner and go, 'Cool. Beautiful. That's awesome.'" In that pursuit, he's crafted one of the best reveals in town. After strolling through a petrol station car park and passing a dilapidated terrace, you’ll find the historic timber doors of cafe and roastery Vertue of the Coffee Drink suddenly loom large, crowned by a glorious old street lamp. The space in Carlton’s Raffa Place was originally a stable, and more recently, a house. 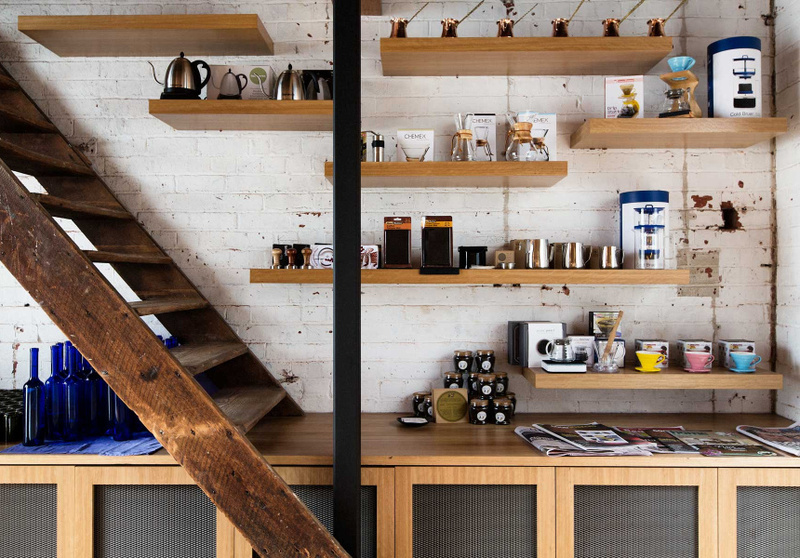 With help from Two Design, Cracknell has converted the old brick building and a gravel carpark next door into one of Melbourne's more unique spaces. The largest part of the venue is a seamless extension, where sun pours through a soaring transparent ceiling. A roasting machine has pride of place, and small touches like circular saw-shaped stools and heavily geometric light shades catch the eye. Head chef Matt Green’s menu covers all the usual cafe favourites and adds a twist. You’ll find granola with blood orange jelly, or Scotch eggs with piccalilli (vegetables pickled with Indian-inspired spices). He's also mad about muffuletta, a deli meat sandwich he discovered in New Orleans and reckons Melbourne needs to know about. The other part of the venue – the old stable – is given over to a sizeable coffee bar and waiting area. Here patrons can pickup home brew paraphenalia, an almond croissant or other fancy pastry, or simply eyeball the buckets of freshly-roasted beans displayed under the counter. 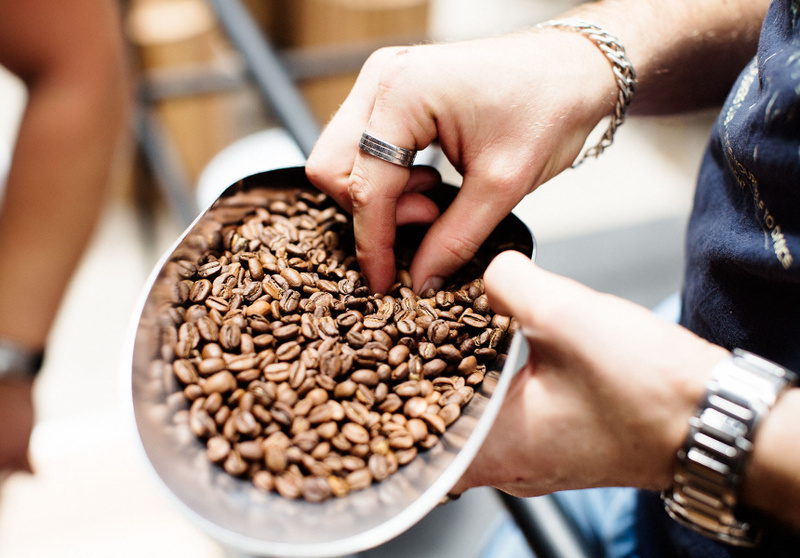 As you'd expect, batch brews, pour overs and other speciality coffee favourites are all available. 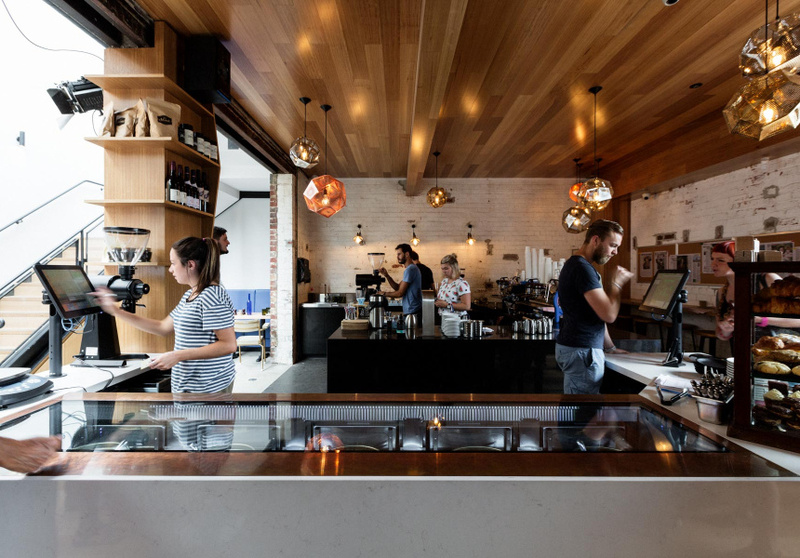 Cracknell has worked many hospitality jobs over the past 17 years – most recently at Di Bella in North Melbourne – but coffee has always been his focus. The same is true at Vertue, which is named after a handbill circulated in London in 1657, talking up the medicinal properties of coffee. "We've had about 20 people say, 'Did you know you've misspelled virtue?'" Cracknell says.